Nike Concepts x Nike Kyrie 5 "Ikhet"
The Concepts x Nike Kyrie 5 "Ikhet" draw inspiration from the All-Star point guard's Hamsa hand tattoo to look back at Ancient Egypt and the pyramids. The model features a tan upper that's sepearated by a purple colored tooling. Release date is Dec. 25, 2018 at a retail price of $130. 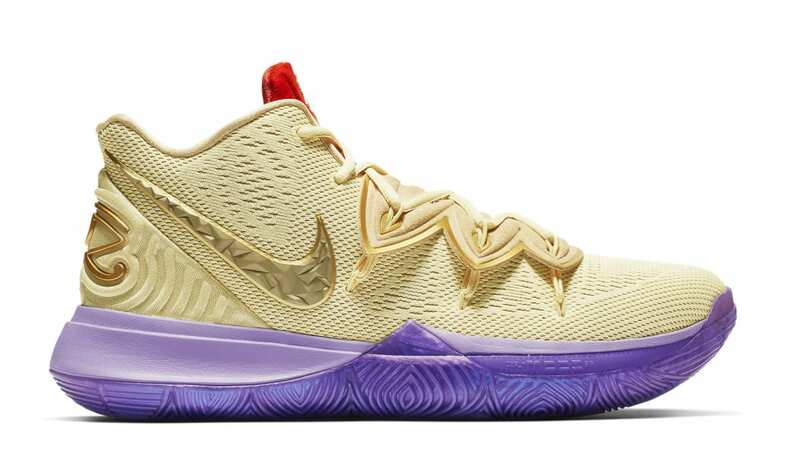 News Concepts x Nike Kyrie 5 "Ikhet"